Q1: What is DPO Registration? DPO Registration is the process by which a Personal Information Controller (PIC) or Personal Information Processor (PIP) provides the National Privacy Commission (NPC) with relevant information regarding its data protection officer. Q2: What is the purpose of the Registration System? The Registration system is one of the means by which the National Privacy Commission can ensure and monitor compliance of personal information controllers and personal information processors with the Data Privacy Act of 2012. It also assists both the NPC and those involved in the processing of personal data in upholding the rights of data subjects. Q3: Who is required to register? the processing is not occasional and constitutes a core activity of a PIC or PIP, or is integral thereto. Data processing systems that involve automated decision-making shall, in all instances, be registered with the Commission. For all other data processing systems operating under the conditions set out in letter C and D, the Commission determined the specific sectors, industries, or entities that shall be covered by mandatory registration. To find out if your sector is included in the initial list please click here. Q4: How do I comply with the registration requirement? Follow the registration process found here. Q5: What supporting documents must be submitted with the DPO Form? Where applicable, a copy of the charter of the government entity, or any similar document identifying its mandate, powers, and/or functions. Duly notarized Secretary’s Certificate authorizing the appointment or designation of DPO, or any other document that demonstrates the validity of the appointment or designation. Franchise, license to operate, or any similar document. No supporting documents are required. Q6: Do I have to send a physical copy of the DPO Form with its supporting documents to the NPC via post or in person? For further instructions regarding the process for registration, click here. You are, however, required to keep original copies within your premises in case the Commission directs the submission of physical copies as proof of compliance. Q7: What happens after I submit the DPO Form and all required supporting documents to the Commission? The Commission will review and validate the submitted documents to ensure compliance with the registration requirements. For complete and accurate submission: The Commission will send an email stating that you have successfully completed your DPO Registration and that you may now request for your certificate of registration. For incomplete or submitted documents with issues: The Commission will send you an email or give you a call to provide instructions on how you will complete the registration. Q8: For organizations and individuals who failed to meet the cutoff period for previous registration, will the Commission impose any penalty? The Commission has yet to determine a schedule of fines and penalties for organizations and individuals who have failed to register. Such failure to register, however, shall be considered by the Commission in the conduct of compliance checks in accordance with NPC Circular 18-02 and in case of occurrence of security breaches prior to registration. If you have yet to register, follow the registration process found here. Q9: Will an entity be allowed to amend or revise its registration information? Yes. Once an entity’s registration information becomes incomplete, inaccurate or outdated, it must amend or revise such registration information accordingly. Q10: How does an entity amend or revise its registration information? Fill out this cover letter and a new DPO Form. Scan the completely filled-out cover letter and notarized DPO Form with its supporting documents. Amendments or updates to registration information shall be made within two (2) months from the date such changes take into effect. For this purpose, a significant change shall include: name and contact details (phone number, email address or mailing address) of the PIC or PIP, head of agency or organization, and DPO. Q11: Is there a registration fee? The Commission has yet to determine a schedule of reasonable fees for registration, renewal, and other purposes to recover administrative costs. Q12: Are newly established companies that are not yet operational required to register? No. Companies are required to register only if they are processing personal data and operating in the country under the conditions set forth under NPC Circular 17-01. For further details please refer to Q3. Q13: I downloaded the DPO Form using Google Chrome, but I encountered an error in saving the file. What should I do? The DPO Form file is best viewed with a PDF or Adobe Reader, and not Google Chrome. Do not edit the form using any browser to avoid errors. Q14: How do we cancel our registration with the NPC? No need to send any request for cancellation. You may opt to wait for your registration validity to end and not submit any renewal request. 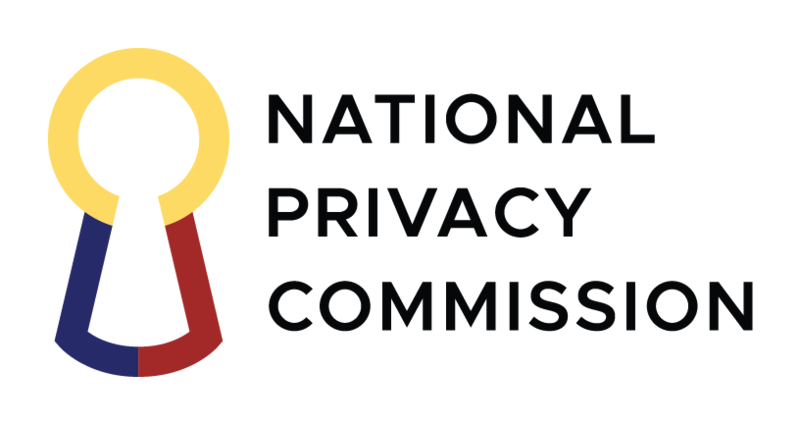 Q15: I have completed all registration requirements set by the National Privacy Commission. How do I renew my registration? The validity of your registration will be extended to March 8, 2020. The extension means that all organizations who are currently registered need not file an application for renewal as required by NPC Circular 17-01 (Section 17). Q16: I have only completed the DPO Registration process. Is the validity of my registration deemed extended? Yes, the validity of the registration of organizations who have completed DPO Registration are deemed extended to March 8, 2020. Q17: I received an “Invalid Verification Link” error when I tried completing the previous process of DPO Registration. How will I proceed? We will communicate updates on when DPS Registration will resume. In the meantime, once the Commission validates that you have submitted the fully accomplished DPO Form and the required documents, you are considered registered. Q18: What is the effect of having my registration extended? There will be no need to file an application for renewal. You may also request for a digital Certificate of Registration. Q19: I have only completed DPO Registration. Will the Commission issue a digital Certificate of Registration? Yes. Follow the instructions found in Q24. Q20: Do I have to register my organization’s Data Processing Systems (DPS)? We will communicate updates on when DPS registration will resume. Q21: I have previously completed my DPS Registration and already received my Digital Receipt. Will I still be able to access my account and make changes in the DPS registered? No, but we will communicate updates on when DPS registration will resume. You are, however, advised to document the changes made to your DPS for record-keeping purposes. Q22: Can I still use the digital receipt previously received as a valid proof of registration? We are now issuing digital Certificates of Registration. To send a request, please follow the instructions found in Q24. Q23: What happens to the common DPO Registration previously approved? The validity of all approved registrations for common DPO will be extended to March 8, 2020. The extension means that all organizations who are currently registered need not file an application for renewal as required by NPC Circular 17-01 (Section 17). Q24: How do we request for the digital Certificate of Registration? Send an email request to [email protected] Please note that in this request you are required to use the DPO email address indicated in your registration. You will receive an automated email acknowledging the receipt of your request. Once verified that you have completed the DPO Registration process, you will then receive an email with the digital Certificate of Registration. Q25: I registered my organization’s Data Protection Officer with the NPC sometime between September 2017 and January 2019. Can I request for a Certificate of Registration? Q26: Does the digital Certificate of Registration carry the same weight as a printed Certificate? Yes, having a digital Certificate of Registration issued in your favor has the same effect and weight as receiving a printed copy. If you wish to verify the authenticity of the digital certificate, you may contact our Compliance and Monitoring Division. Q27: Who can I contact regarding any issues and concerns regarding registration?